Tourists at seaside resort towns of Digha, Sankarpur, Mandarmani and other places along the coast in the state have been advised not to undergo any seawater-bound activities during this period. KOLKATA: With the very severe cyclonic storm Titli gaining strength in the Bay of Bengal, the Met department Wednesday warned of heavy to very heavy rainfall in the Gangetic West Bengal until Friday. Under the impact of the cyclone, coastal and over-land areas of East and West Midnapore, Jhargram, South and North 24 Parganas districts in Bengal will experience squally wind, with speed reaching up to 60 kmph from Wednesday evening onwards, the weatherman said. Tourists at seaside resort towns of Digha, Sankarpur, Mandarmani and other places along the coast in the state have been advised "not to undergo any seawater-bound activities during this period," the Met department said. The weatherman warned fishermen not to venture into the sea along and off the coasts of West Bengal, Odisha, deep sea areas of North Bay and Central Bay of Bengal till October 12. Following the forecast, the Indian Railways decided to halt train services between Khurda Road in Odisha and Vizianagaram in Andhra Pradesh. SER spokesman Sanjay Ghosh said, "It has been decided not to allow train services between Khurda Road and Vizianagaram from both directions after 10.00 PM Wednesday till further advice." Long distance trains slated to pass through East Coast Railway jurisdiction between Khurda Road and Vizianagaram on Howrah-Chennai main line may be diverted via Kharagpur-Jharsuguda-Nagpur-Balharshah-Vijayawada route, he said. The 12841 Howrah-Chennai Coromandel Express, 12863 Howrah-Yesvantpur Express, 12504 Agartala-Bengaluru Cant Humsafar Express have been diverted via Kharagpur-Jharsuguda-Sambalpur-Rayagada-Vizianagaram route. Wednesday's 12839 Howrah-Chennai Mail has been rescheduled to leave Howrah at 8.00 AM Thursday, while 12660 Gurudev Express of Wednesday will leave Shalimar at 8.15 AM the next day. 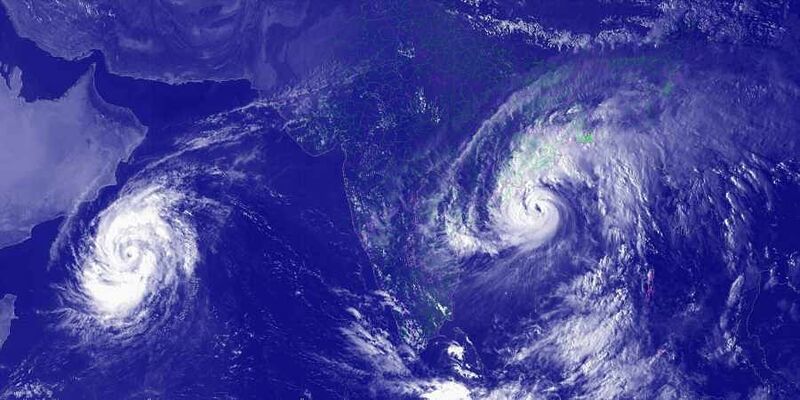 The weatherman said cyclone Titli lay centred about 730 km south-southwest of Kolkata at 8.30 am Wednesday and is likely to cross Odisha and adjoining north Andhra Pradesh coasts between Gopalpur and Kalingapatnam by Thursday morning. Following its landfall, the severe cyclonic storm is very likely to re-curve northeastwards, move towards Gangetic West Bengal across Odisha and weaken gradually, the Met department said. It said that gale wind speed reaching 100-110 kmph, gusting to 125 kmph, is prevailing over deep sea areas of west-central and adjoining north Bay of Bengal and will gradually increase to 120 to 130 kmph, gusting to 145 kmph, from Wednesday evening to Thursday forenoon.